I’m back! And I’ve got something incredibly delicious to share with you. 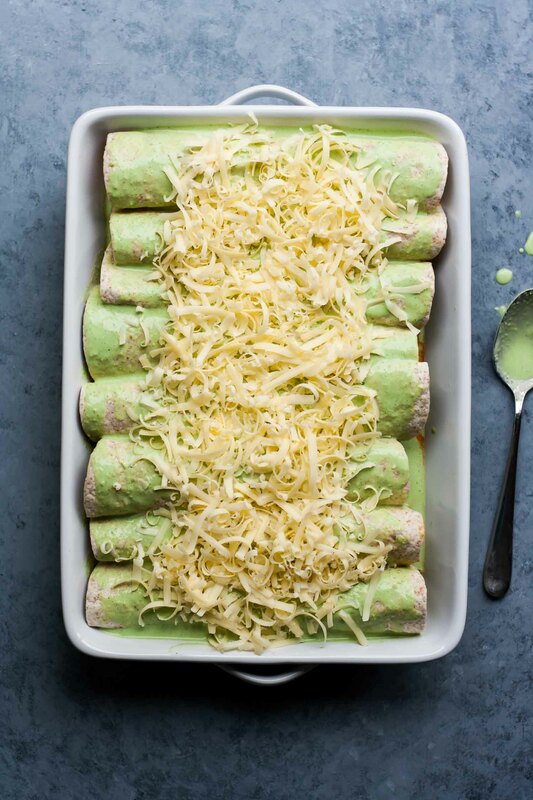 Oh my word, these Easy Green Enchiladas are so good! To prove to you just how good they are, let me tell you, my husband has requested that they be on every week’s meal plan until further notice. I’m pretty sure he would eat them every night of the week if he could. So. Good. You guys, it’s so good to be back! I’m gently easing myself back in after a few weeks away. I’d been feeling pretty burned out and I just needed a bit of time to rest and recuperate for a while. My creative flow was pretty stifled for a while there and forcing it wasn’t doing me any good, so I took a much needed break and I’m thrilled to say that I’m feeling reinvigorated and so excited to share some new recipes with you! Oh, the sauce! It’s as simple as throwing four ingredients – plus some seasoning – into a blender and whizzing it up. Done. That’s it! 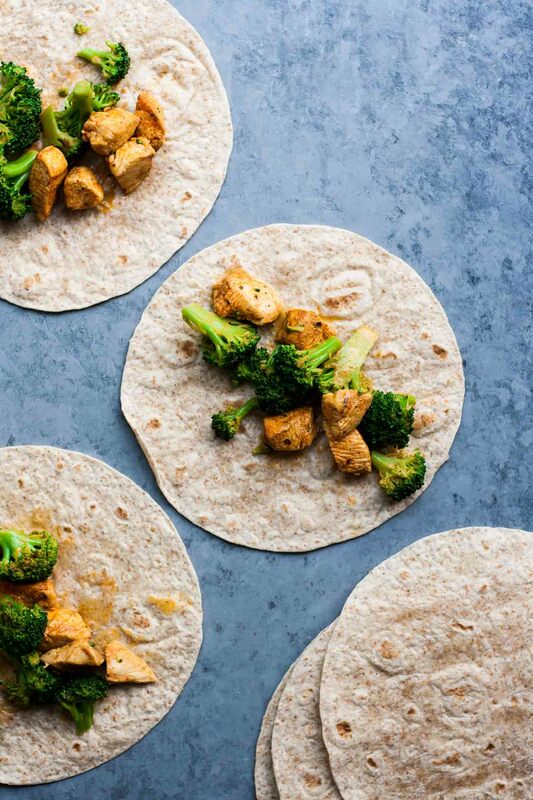 Sauté your chicken in some delicious spices, blanch some broccoli, roll it all together in some tortillas, top with an obnoxious amount of cheese and you are done. Pop it into the oven for about 20 minutes and dinner is on the table. You’re welcome. Preheat oven to 180°C (350°F). Cut the chicken breasts into bite-sized chunks. Sprinkle with the spices and season to taste with salt and pepper. Heat a tablespoon of oil in a frying pan and fry the chicken until it's golden on all sides. Remove to a medium mixing bowl. Chop the broccoli into small florets, roughly the same size as the chicken. Bring a pan of salted water to the boil and add the florets to the water. Bring back to the boil and simmer for 1 minute. Drain and rinse until cold water. Leave to drain. Place the spring onions, coriander, jalapeños and yoghurt into a blender. Add seasoning to taste (I used concentrated chicken stock but a good pinch of salt works too, just don't be shy). Blend until smooth. 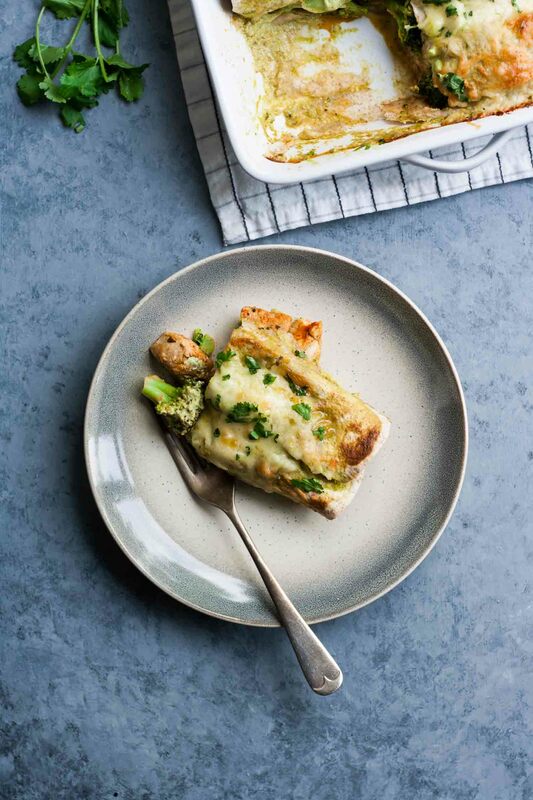 Mix together the chicken and broccoli with 1/4 cup of the sauce. 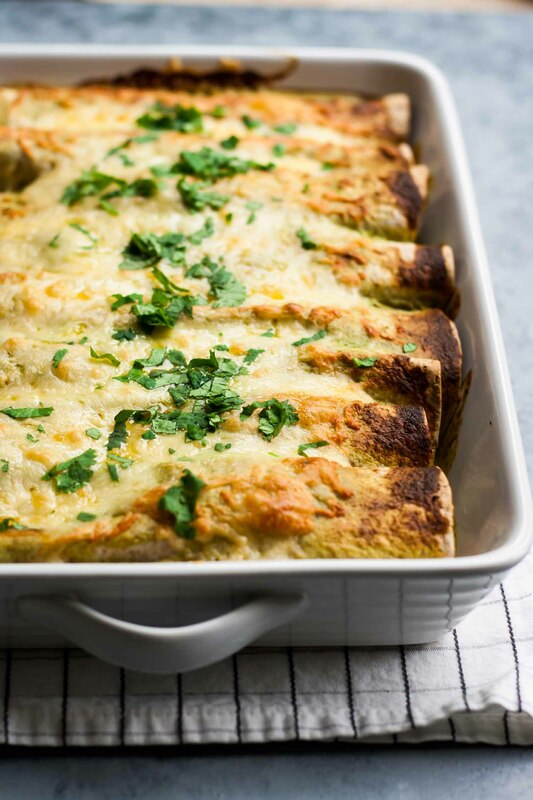 Cover the base of a large baking dish (about 9" x 13") with a thin layer of sauce. Divide the chicken mixture between the tortillas. Roll up the tortillas and place seam side down in the baking dish. You might have to squash them together a bit, but they'll fit. 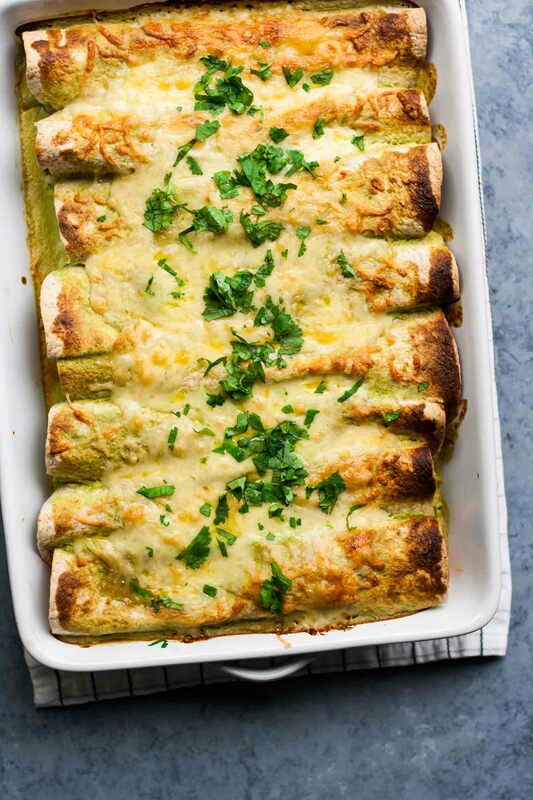 Pour the rest of the sauce over the enchiladas. 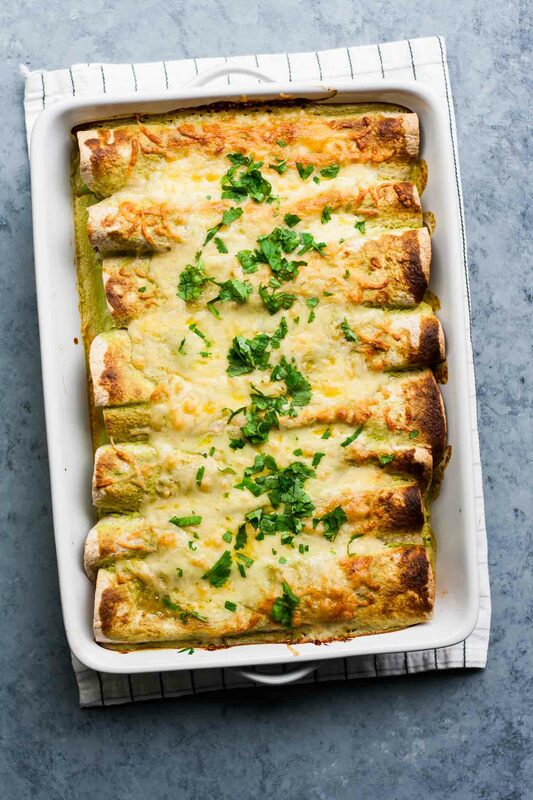 Top with the grated cheese and bake for about 20 minutes or until golden brown on top. Pickled jalapeños can be quite spicy so adjust according to your preference. Thanks Sue! I hope you love them! Welcome back Sasha!! And what a lovely recipe to come back with, they sound delicious.